I love the desert. Being a Canadian I don’t often find myself in one but I’m presently in Phoenix at a conference and it has rekindled my affinity for this amazing environment. I love the strangeness of the desert, I love its unique scenery, I love that it evokes memories of old western movies and times of exploration, settlement and building new dreams. I love that deserts are patient, knowing that good things take time to arrive … something I could certainly practice a bit more for myself! beauty. And then as I engage with it and become a part of it the desert reveals its treasures. From a distance a desert seems to be no more than a brown, gravelly, arid, shrubby, inhospitable expanse perhaps broken by rock formations and hills. As we step into it we start to see the diversity of life within it. The myriad of cacti and their unique adaptations. The variety of smaller creatures that are so uniquely suited to living here. How the desert changes as the rains arrive and how it changes throughout the hours of the day with both the effects of changing daylight and the way its denizens respond to the passing of the sun. 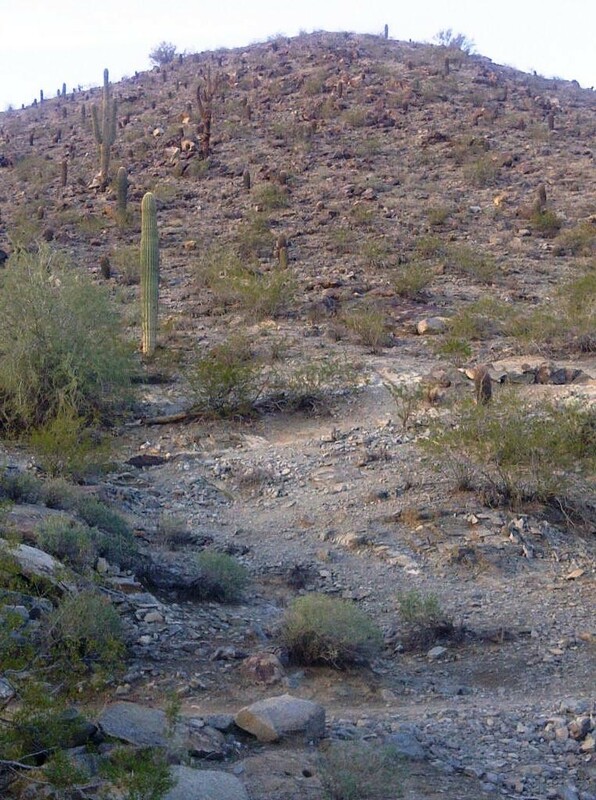 I love the metaphor that the desert forms for the way we might approach our own lives as well. Do we see a barrenness in the tedium of day after day of the same people, places and activities in our life? Or do we see the uniqueness of every day like the changing light on the sands that reveals a previously hidden beauty if we just stop to look? Do we see ourselves like a small creature stranded within a difficult environment struggling to find a way to sustain ourselves? 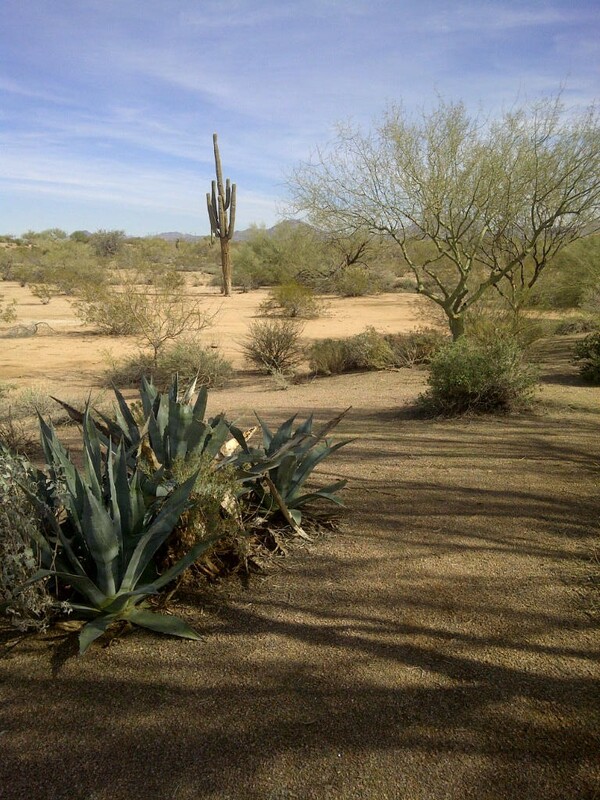 Or do we see with amazement that this environment has everything we need to grow and thrive masquerading as a prickly old cactus full of water, food and a place to call home? When we encounter the scorpions and rattlesnakes of our own community do we shrink in fear or strike out defensively? Or do we see past the danger to the possibility that they are also seeking to live in harmony with everything else around them and give them the respect they deserve? Most importantly do we see past the wasteland and look for the possibility of riches? It is just a matter of perspective. We can say “I don’t belong here” and we can be right. Or we can say “let’s look for what is possible here” and be presented with truly amazing gifts and possibilities. And do we look for our rightful place within our own unique ecosystem? A place from which we can grow and contribute? As a leader how do we approach our ecosystem? Do we see it as a harsh environment full of threats and therefore show up in defensive mode for ourselves and for our teams? Do we pull back from the perception of danger and discomfort in order to remain safe and secure (and hence static)? Or do we encourage our team (leading by example) to walk eyes wide open into the midst of unique new environments to discover a new possibility every day? Do we accept that daring to try new things will some times result in mistakes or temporary setbacks but boldly step into new opportunities because the reward of success is so much greater? I would love to hear your experiences. What has appeared for you when you calm the worries and look beyond for other possibilities? What a fabulous analogy — and invitation — Ian. To always ask — “let’s look for what is possible here.” allows for possibility to become visible. Love it! In 2011 I created/authored/co-edited a book for an agency I was working for. We didn’t know exactly what the final product would be, what we did know is we wanted something that spoke to possibility, to change, hope… Each time the team would meet we began with a commitment to not reject any idea, to give each one room — to see if it expanded or not. In the end, the book evolved into something even better than I could have imagined, and, the process of creating it was an amazingly rewarding and fulfilling one. Thank you Louise. I find the desert a very hopeful place. The denizens always know better times are coming and structure their existence for that possibility. I know your book that you are speaking of and it has this same hopefulness. A knowing of the possibility within each of the homeless people that are featured. I would encourage others to check out Louise’s work at http://www.ayearofmakingadifference.com. great article Ian –great approach to finding the possibilities in different things. I never ever had any desire to visit the desert. Then in 2005 my eldest son did his medical internship in Alice Springs – the red centre of Australia – and I spent a week with him. It is one of the most relaxing holidays that I have ever had. Because there is nothing there, you are forced to calm down from the frenetic pace lived in the city. And then you discover that is not ‘nothing there’ after all, there is a whole world that you never knew existed. It is truly amazing. I also like the analogies that you draw and you could also apply them to personal situations. For example seeing aloneness as a barren wilderness of loneliness, or instead embracing solitude and enjoying what each day can bring and using it for fulfilling creative projects. Thanks for the comments. I love your perspective on the desert and on our personal situations. Previous Previous post: What’s to FEAR? Next Next post: What’s Possible?